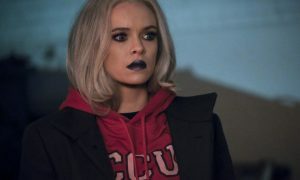 The Flash returned this week with an episode focused on Nora West-Allen. Normally I would welcome focus on Nora, but they botched the execution. In this episode, Joslyn Jackam aka Weather Witch went on trial for her crimes. She was sprung from jail by Raya Van Zandt, a meta who wanted Joslyn to help her break into ARGUS. Nora didn’t believe that Joslyn wanted to serve her time and didn’t actually ask Raya to break her out. Barry Allen’s kid being a stickler for rules who insist that criminals can’t change made absolute sense. 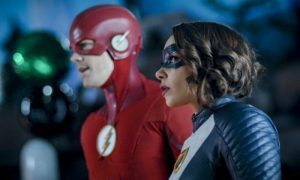 But, the episode pretended that Barry is a champion for forgiveness. The episode ignored the torture he inflicted on low-level criminals who deserved a chance. Instead it focused on the often referenced but mostly non-existent relationship between Barry and Leonard Snart. 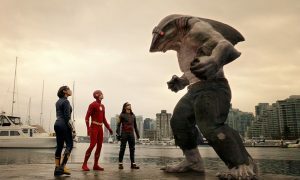 Episodes of The Flash that try to rewrite who Barry is are always the worst. In an unintentionally hilarious subplot, Cecille Horton’s empathy powers got in the way of her doing her job as a prosecutor. I love Cecile, but the tacit admission that she never empathized with the people she was locking up was a tough sell. Meanwhile, Cisco Ramon and Caitlin Snow argued over the possibility of a metahuman cure. Caitlin took the stance that some people don’t want a “normal life.” This debate that comes up in everything with mutant characters is pretty tired. People with manageable or cool powers take the side that a cure isn’t necessary and ignore people who, for instance, make everyone around them experience radiation poisoning. The debate also didn’t feel in character. Caitlin completely ignored the fact that a year ago she would’ve rather died than let Killer Frost take over. Cisco suddenly suggested that his powers are what keep him from having a normal life. Villains come after him because of his choice to be on Team Flash, not his powers. Both of them suddenly took hard stances on this argument which felt forced. Also check out my review of the last episode of The Flash.